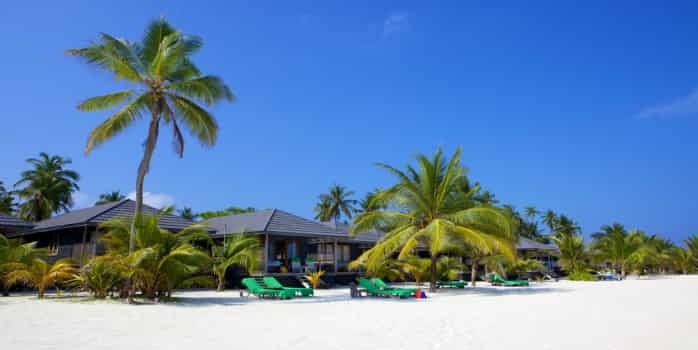 We offer a range of great beach holidays and honeymoons to Maldives. 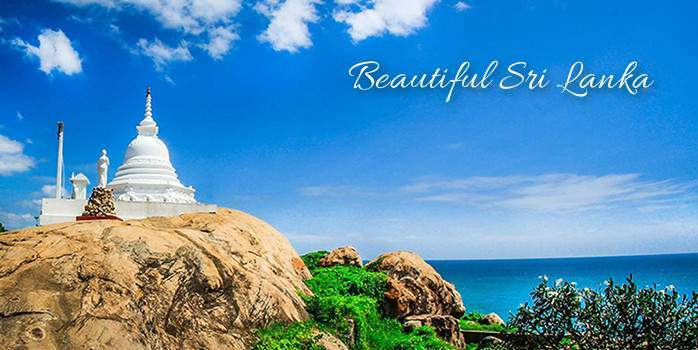 Excellent honeymoon offers and two-centre holidays combining Maldives with Dubai or Sri Lanka. 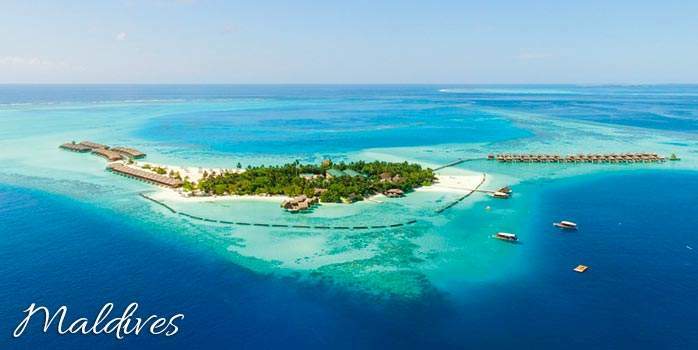 The Maldives consist of a myriad of little islands, about two hundred of which are inhabited, and these are engulfed into twenty-six natural atolls. They straddle the equator with the appearance of a garland of little gems haphazardly abandoned on the crystal clear waters of the Indian Ocean. Each resort has a shallow yet brilliant blue lagoon and is surrounded by a coral reef. 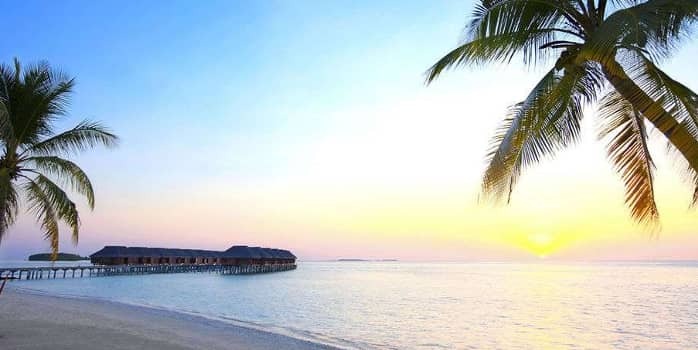 The Maldives is renowned as a location for those seeking tranquillity, privacy and exclusivity in a beautiful unspoilt environment, as the islands are limited to one resort per island. 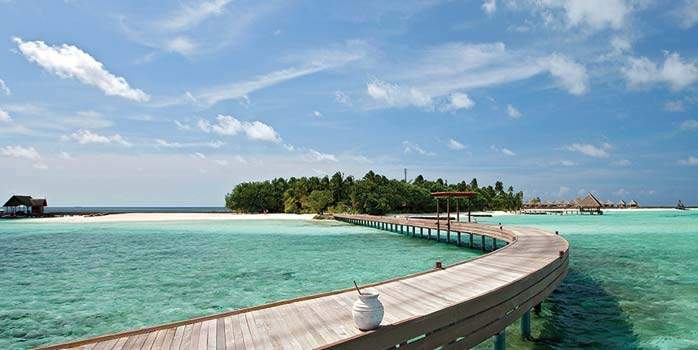 If you are seeking the ultimate in exclusive island hideaways, then the Maldives are for you. Golf has finally arrived in the Maldives! Kuredu Golf Club is the first of its kind in the Maldives. The golf course is surrounded by natural forest and the noise of the ocean, there could be nowhere more peaceful for the game of golf. The course is a 6 hole par-3 course with artificial greens with the average length of a hole being 55 yards. 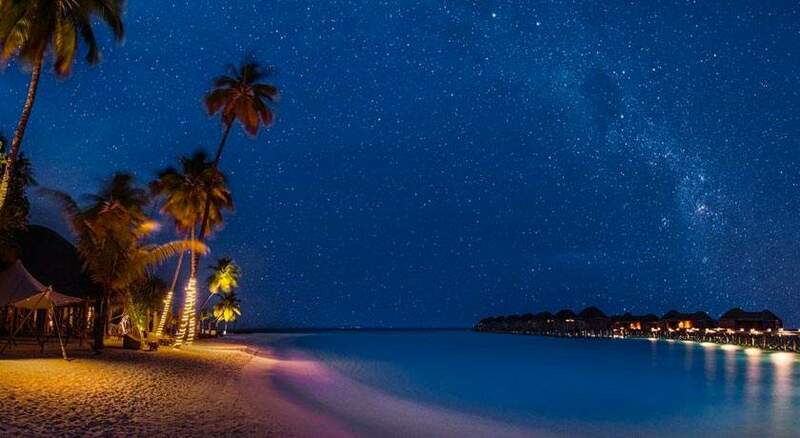 Maldives is one of the world’s most romantic destinations for a relaxing honeymoon with private bungalows, crystal blue lagoons, waving palm trees and fabulous beaches. We know the unique character of each island and will recommend the best resort for your ideal honeymoon. 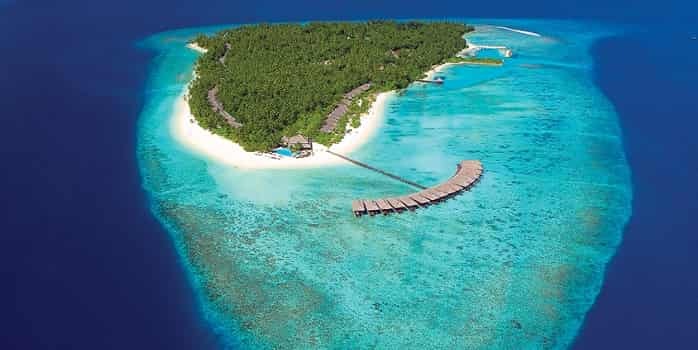 Dhuni Kolhu lies in the stunning southern waters of the Baa Atoll. 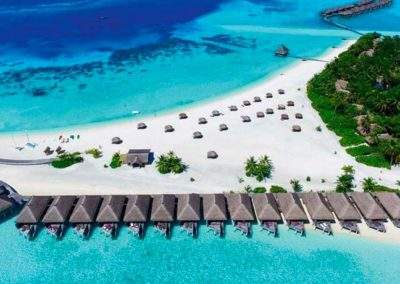 Enjoy a bird’s eye view of the azure lagoons and curling atolls as you arrive. The resorts style and feel is rustic yet luxurious. Floating in the North Ari atoll and shaped like a curved dhoni (Maldivian boat) is the new Five Star Halaveli Resort. It is a place where time seems to have stopped and dreams become reality. Resort Overview Constance Moofushi Resort Maldives offers a wide range of beach and water villas in a barefoot chic setting. Cristal All Inclusive package Everyone enjoys the luxurious Cristal all inclusive package that includes premium branded drinks and international wines, a dhoni boat excursion, cocktails, one à la carte dinner, wifi in all villas and complimentary internet via the tv and lots more. Constance Moofushi Maldives Location Moofushi is situated on the South Ari Atoll and is widely regarded as one of the best diving spots in the world. The Resort combines the Crusoe Chic Barefoot elegance of a deluxe resort with the high standards we expect from our friends at Constance Hotels group. 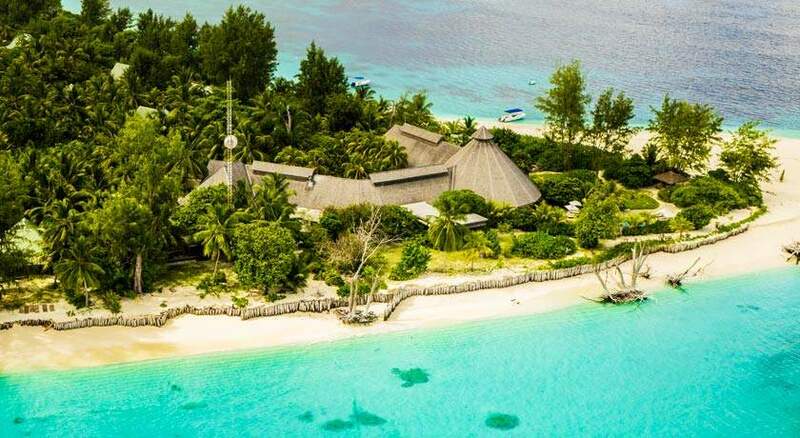 Filitheyo is a paradise island located on the tiny north Faafu Atoll, some thirty five minutes by seaplane, followed by a few minutes by dhoni. 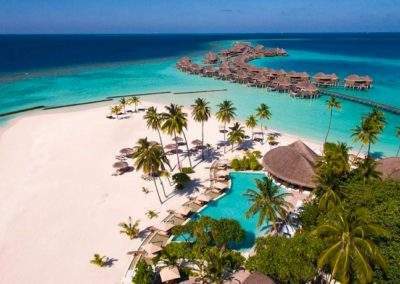 It is a dreamlike island of swaying palms, lush vegetation, tropical flowers and soft white sand. A tranquil retreat, it has particular appeal to the diving fraternity and those yearning for peace and privacy. The resort exudes a rustic charm and blends harmoniously into the natural habitat. 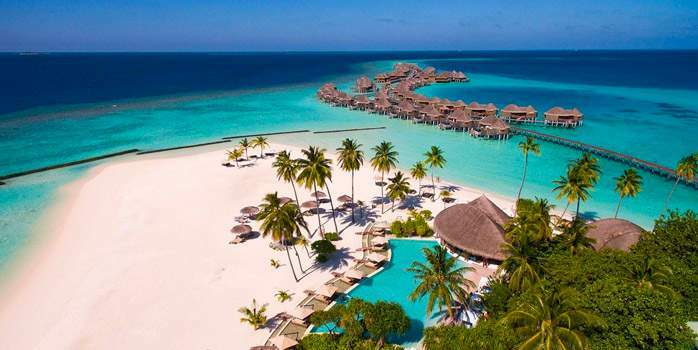 Guests may choose between beach villas or water villas, all furnished and equipped to a very high standard. Experienced international chefs will delight your taste buds, the underwater experience will blow your mind and you will be spoiled with the selection of water sports available. 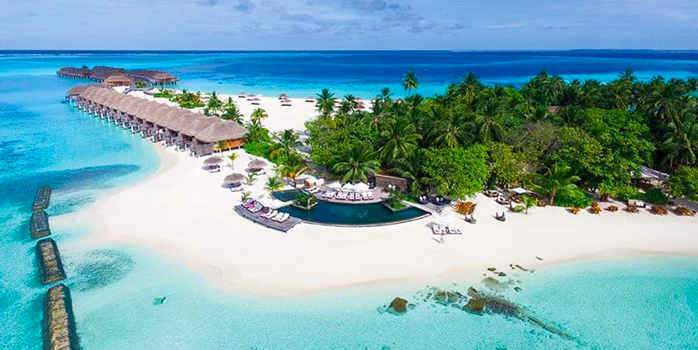 Kuredu Maldives Resort is situated on the northern reef of the Lhaviyani Atoll, a region well-known for its abundant sea life. 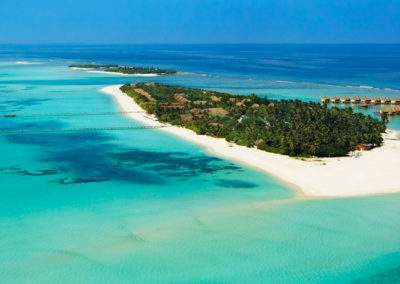 The island boasts more than three kilometers of white beaches and sparkling aquamarine lagoons. 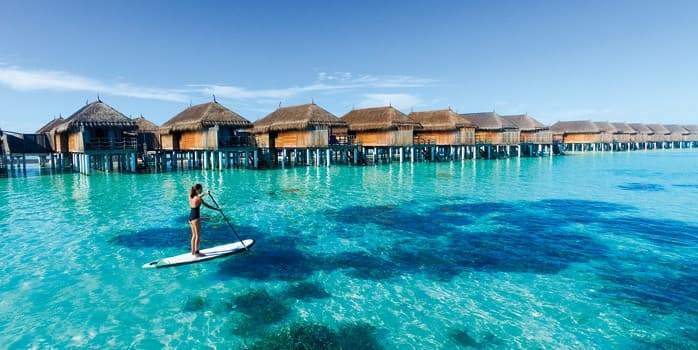 The thatched bungalows and spacious villas of the resort line the powdery beach whilst the Sangu Sunset Water Villas are built on wooden columns in the north-west lagoon and offer romantic views of the sunset over the Indian Ocean from a secluded furnished verandah. Facilities include a large swimming pool with a beautiful wooden deck, a children's pool and a choice of restaurants and bars. 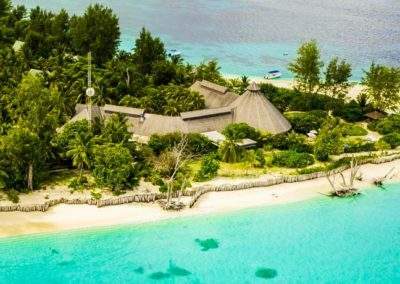 At the well-equipped H20 Water Sport Centre, guests can enjoy windsurfing, canoeing, kite-boarding, snorkelling and water skiing whilst the Duniye Spa offers and extensive range of relaxing treatments for both body and soul. For diving enthusiasts there is access to forth-eight exclusive dive sites including wrecks and caves. 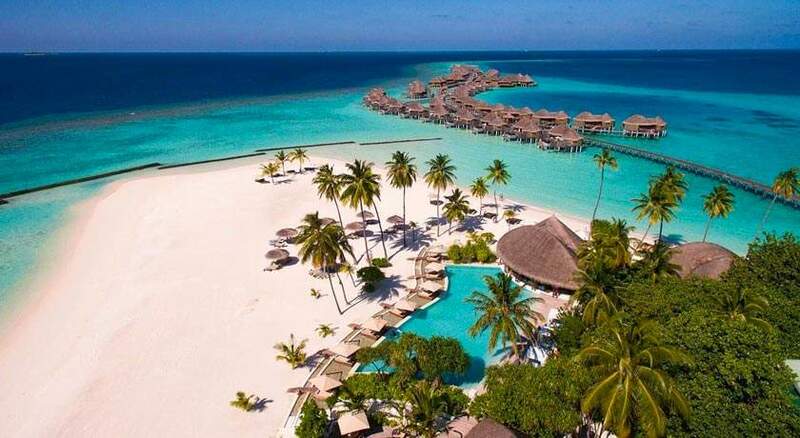 LUX* Maldives is a luxurious island resort surrounded by crystal-clear lagoon and miles and miles of turquoise ocean. The perfect setting for a luxurious, intimate holiday on a paradise island. With some of the most beautiful dive sites less than an hour from the resort, LUX* is the ideal base. With the chance to see whale-sharks on the boat journey to the dive site, makes diving trips even more enjoyable. 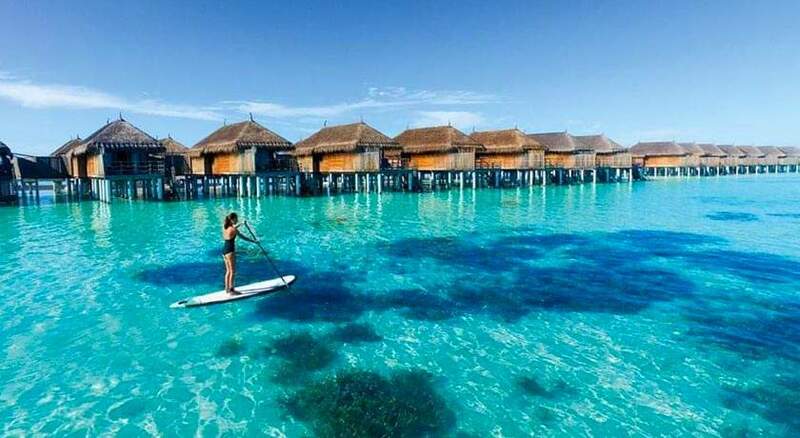 You can stay right on the water in the exclusive Water Villas, standing on stilts over the lagoon. You can slip into the water right from your own private deck. 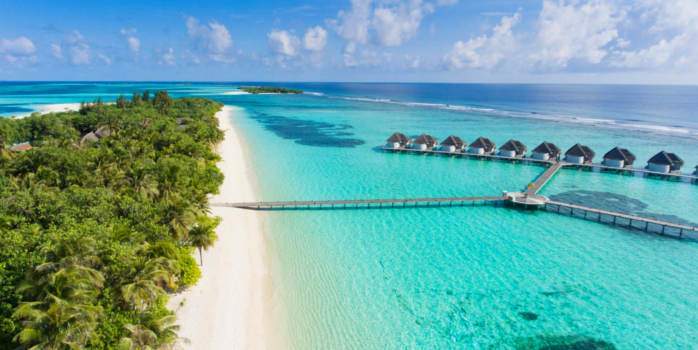 Located on the unspoiled Meemu Atoll, the newly refurbished resort of Medhufushi is some forty minutes from Malé by seaplane. This elongated island is surrounded by dazzling white beaches and guests can find welcome shade among the untouched tropical vegetation of palm trees, rubber plants and mangroves. Medhufushi features an exceptionally stunning lagoon, a haven for swimming, surfing and sailing, and an ideal setting for first-time divers. The virtually untouched diving sites await you with an amazing diversity of corals and tropical fish. The thatched-roof villas crafted in traditional Maldivian style and the elegantly designed bedrooms of natural timber blend perfectly with the surroundings. Add to this perfect setting the new over water spa, friendly service and a choice of fine cuisine, and you will appreciate the popularity of this resort. This chic One&Only Resort is the ultimate in style and sophistication. It boasts some of the largest villas in the world, and all 130 of these luxurious and stylishly decorated villas have direct access to the lagoon or beach and stunning ocean views. 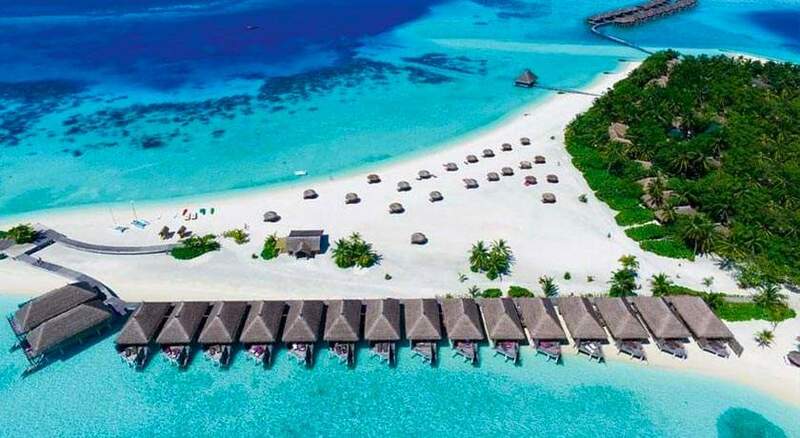 Meaning "beautiful island" in the national language Dhivehi, One&Only Reethi Rah, with its twelve powder soft white beaches, is a truly unique hideaway that offers its guests an extraordinary degree of privacy in its 44-hectare expanse. Designed in an octopus shape, Reethi Rah has 6km of coastline and woven hammocks are placed throughout the island for guests to relax in. The resort boasts three swimming pools, with an additional thirty-seven private villa pools with carved lava stone aqua beds overlooking the sea. Guests will also enjoy the services of a dedicated Villa Host to cater for their every need. 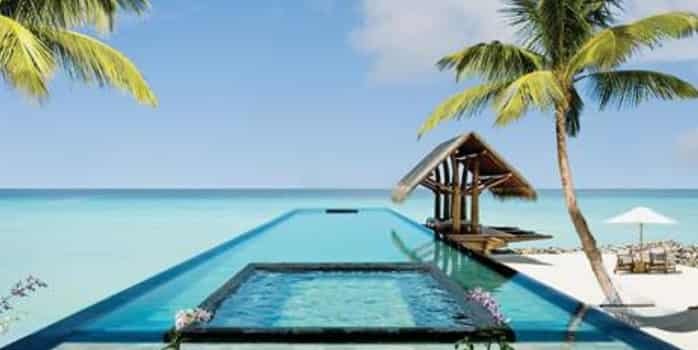 Constance Moofushi offers a 5 star All Inclusive retreat in the Maldives. 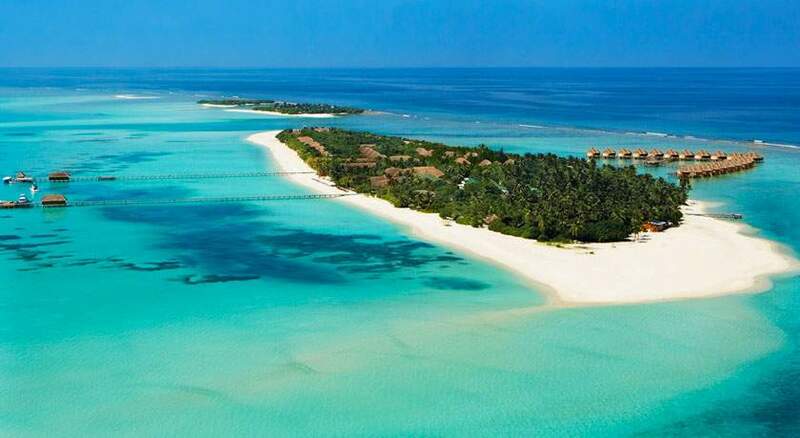 This retreat to the tropical oasis Kanuhura, Maldives is a sublime location to celebrate your marriage. Flights, private transfers, 7 nights all inclusive and 3 nights B&B. 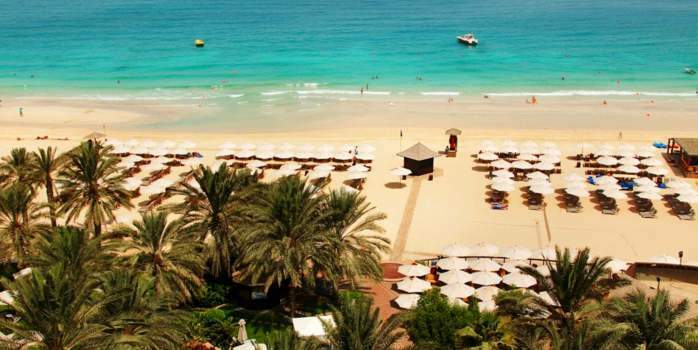 This twin centre honeymoon offers romance at Kuredu Island & the vibrant city of Dubai. Experience Dubai with its terrific climate, wonderful shopping, excellent golf, beautiful beaches and sea, superb cuisine and luxurious hotels. 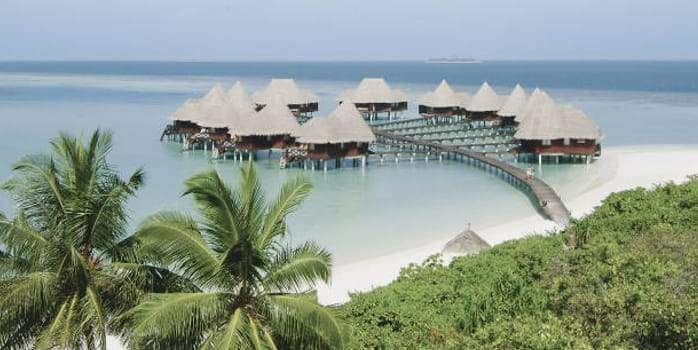 Maldives and Dubai is the ultimate romantic city and beach honeymoon combination. 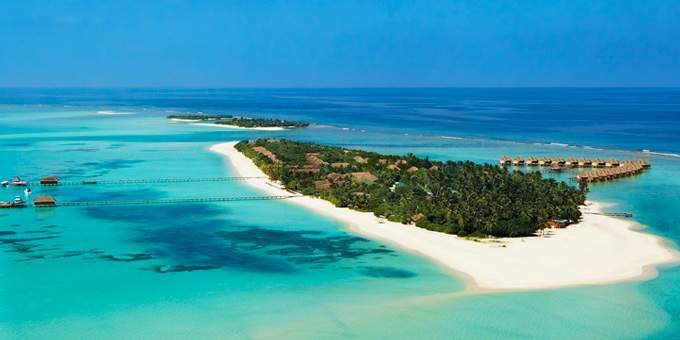 Experience the dazzle of Dubai and the laid-back relaxation of bare foot paradise in The Maldives. 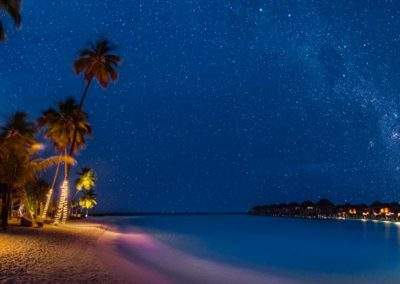 Combine the glamour and glitter of Dubai with the stunning Maldives beaches for an amazing city and beach combination holiday.